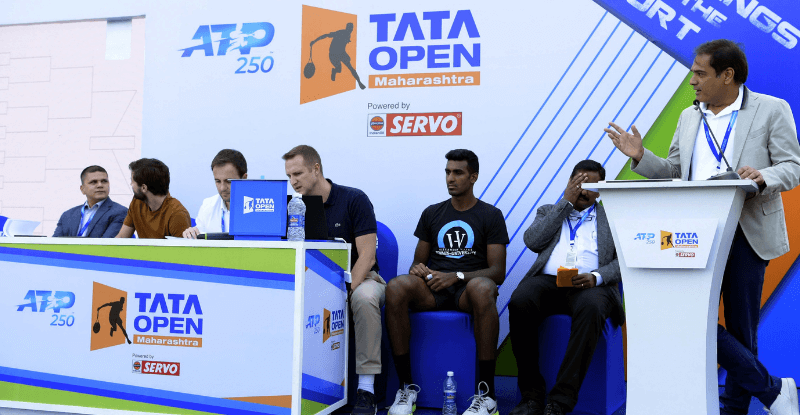 The Official Draw Ceremony of the ATP 250 World Tour event Tata Open Maharashtra took place today at the Mhalunge Balewadi Stadium, Pune. India’s top-ranked player Prajnesh Gunneswaran will play his opening encounter against American Michael Mmoh. Ranked 103 in the world, Mmoh and Gunneswaran train at the same Academy (Alexander Waske Tennis University). “Unfortunately I am playing Mmoh who is from my Academy and we also did the pre-season together. But I will do everything in my power to send him back home in the first round,” Gunneswaran said after the draw ceremony. 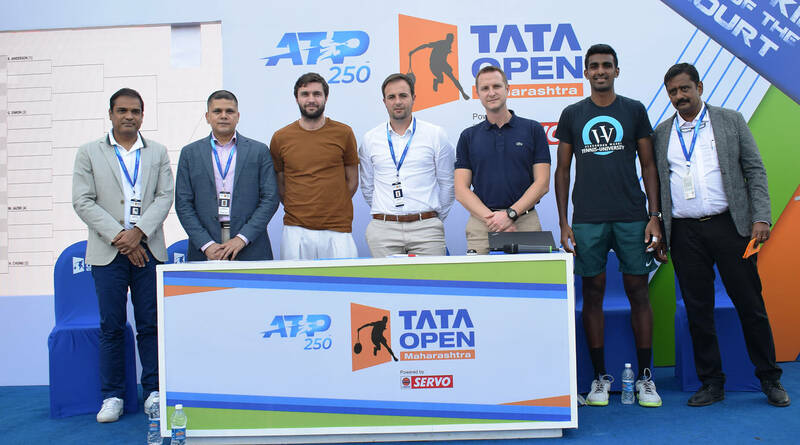 The ceremony was attended by Tournament Director Prashant Sutar, Pune Municipal Corporation Commissioner Saurabh Rao, ATP Supervisor Miro Bratoev, ATP Tour Manager Arnau Brugues, MSLTA Secretary Sunder Iyer along with Gunneswaran and defending champion Gilles Simon. The top four seeds, Kevin Anderson, Hyeon Chung, Gilles Simon and Malek Jaziri, got a bye in the first round. “Last edition I received a thrilling response and cheering from the crowd. I was surprised as that was the first time I played in India and the support and cheering of the fans made me return to the tournament,” said Simon on his return to the city for the ATP World Tour event. Local boy Arjun Kadhe will face Laslo Djere in the first round. Kadhe, who got his second wild card to this event, will have an uphill task against the world No. 94. Djere who progressed to round of 16 in the last year’s edition beating Marius Copil in the first round. Wild card entrant Ramkumar Ramanathan will be playing against world no. 97 Marcel Granollers in a tough first-round encounter. This will be their second ATP encounter and third including Challenger. The Indian Davis Cup player will look to register his first win against the Spanish player. In 2014, Ramanathan lost in straight sets at Chennai Open while in June this year he went down in a marathon quarterfinal at Nottingham Challenger. World no. 96 Ernests Gulbis will be starting his campaign against Pedro Sousa. The Latvian defeated Jay Clarke, Damir Dzumhur and 4th seeded Alexander Zverev in 5 sets to reach Wimbledon 4R as a qualifier. In doubles draw, top-seeded Indian pair of Rohan Bopanna and Divij Sharan will face Radu Albot and Malek Jaziri in their opening encounter. Among other Indian entrants in doubles draw, Leander Paes who will play alongside Mexico’s M. Reyes-Varela have drawn D. Marrero (ESP) / H. Podlipnik-Castillo (CHI). Second-seeded pair P. Oswald (AUT) / T. Puetz (GER) have drawn Indian duo N Balaji and Arjun Kadhe in their opening encounter. The third Indian pair and wild card entrants Purav Raja and R Ramanathan will face British duo L. Bambridge and J. O'Mara. All the matches will be broadcasted live on Star Sports Select 2 and Star Sports Select 2 HD.